The latest study says almost one-half of all cancer deaths are attributed to risk factors within your control. Finally, science catches up to what I’ve known all my life. Dale Shepard, M.D., of Cleveland Clinic did not take part in the study, but says it’s no surprise that many of these factors are bad for our health, but many people dont realize the impact of making healthy lifestyle changes. The study looked at U.S. Centers for Disease Control and Prevention (CDC) records of cancer incidence and death for 26 cancer types in adults ages 30+ in year 2014. They found that these cancers were largely a result of 17 modifiable lifestyle behaviors. The behavior that had the most negative impact was smoking, but researchers also pointed to factors such as obesity, alcohol intake, poor diet and lack of exercise. Dr. Shepard says its important to note that not all cancers can be prevented from lifestyle modifications, but studies like this show that if we do take the necessary steps to improve our overall health, our likelihood of developing certain cancers can be significantly decreased. Dr. Shepard says its important to remember that the more lifestyle risk factors that are combined, the more a persons risk for cancer increases. If you drink alcohol, are inactive, are overweight, and have a poor diet, it can add up to a 20 percent increase in risk of cancers pretty quickly, he said. Complete study can be found in the journal CA: A Cancer Journal for Clinicians. So remember to make HEALTHY CHOICES daily like following this blog! Sunday is World Cancer Day. It should be World Health Day! A day to raise awareness about healthy living. What you focus on expands. Anyone diagnosed or living with cancer NEEDS to focus on health, not illness. In 2004, Nancy Cappello, PhD from Connecticut, was diagnosed with advanced stage breast cancer. She was shocked as she had no prior risk factors, and normal screenings for a decade. Each physician told her that her cancer was hidden by the mammogram due to her dense breast tissue. Dense breast tissue is comprised of less fat and more connective tissue which appears white on a mammogram. Cancer also appears white thus tumors are often hidden or masked by the dense tissue. 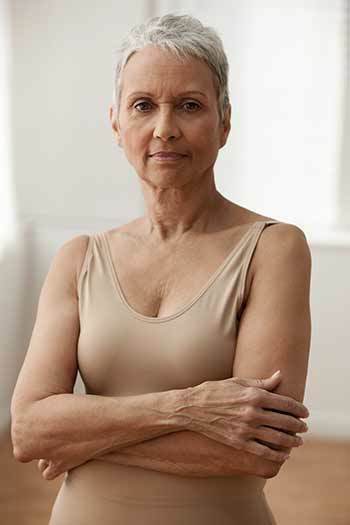 As a woman ages, her breasts usually become more fatty. 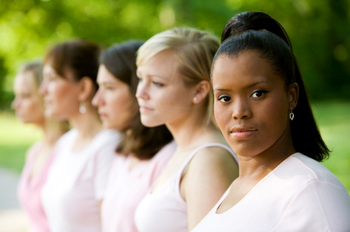 However, 2/3 of pre-menopausal and 1/4 of post menopausal women (40%) have dense breast tissue. Additionally, as the density of the breast increases, the risk of breast cancer also increases. Radiologists have been reporting a woman’s dense breast tissue to her referring doctor for twenty years. Most often, that information is not conveyed to the patient. Displaying heterogeneously or extremely dense breast tissue on a mammogram is considered dense (BIRADS C, D). When Nancy asked her doctors to report dense breast tissue to women in her community, each of them refused. Her doctors’ rejection led to action when in 2009, Connecticut became the first state in America to report dense breast tissue to the patient through the mammography report. As of today, thanks to Nancy Cappello’s unplanned advocacy, thirty-one states have a density reporting law and more are pending. Nancy has since been honored by UNICO at its national convention with the 2017 Americanism Award for her breast health advocacy through the work of her two non- profit organizations, Are You Dense Inc. and Are You Dense Advocacy Inc. The Americanism award recognizes an Italian-American who has made an enduring impact on humanity which encompasses the cornerstone of UNICO’s foundation. BREAKING HEALTH NEWS: Senators Dianne Feinstein (CA) and Dean Heller (NV) and Representatives Rosa DeLauro (CT) and Brian Fitzpatrick (PA) introduce a national bill requiring physicians to notify patients whether or not they have dense breast tissue. On Twitter: Representative Mike Rohrkaste @RepRohrkaste and Senator Alberto Darling @SenDarling introduce bill in Wisconsin to prompt patient notification if they have dense breasts, which increases cancer risk.